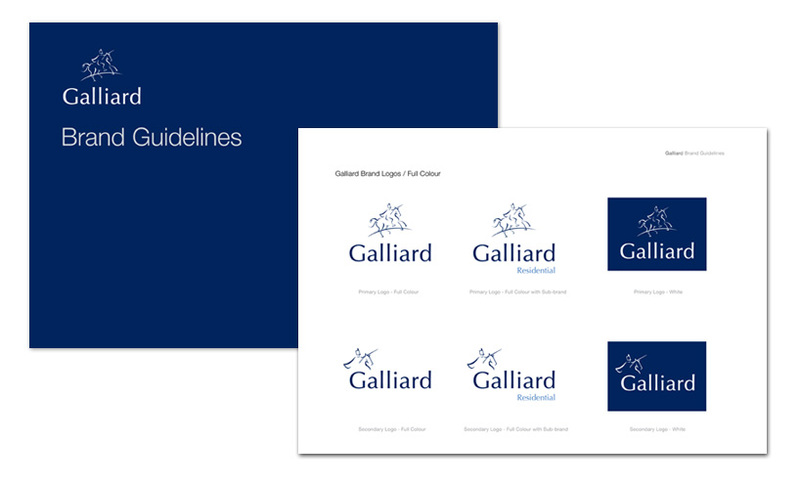 Brief: Create a brand style guide that could be used through all divisions of the company to align brand communications both internally and externally through the company. 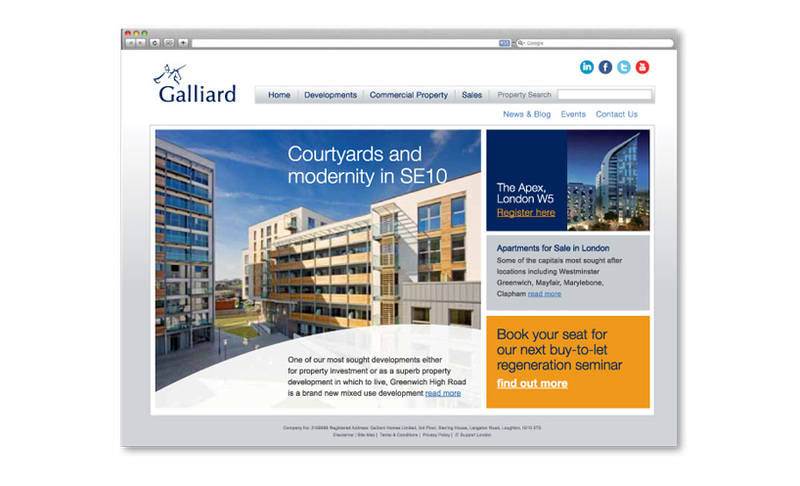 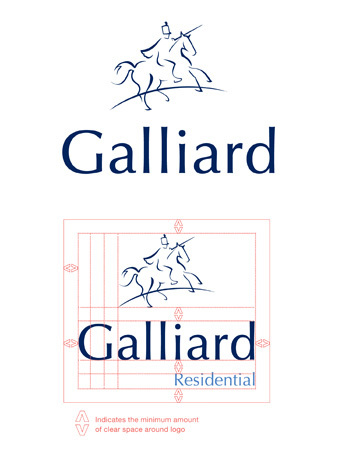 Solution: After many successful years in the commercial and residential property industry the Galliard brand had gone through many iterations and the company's communications (online and offline) had become inconsistent and unnecessarily complex to use. 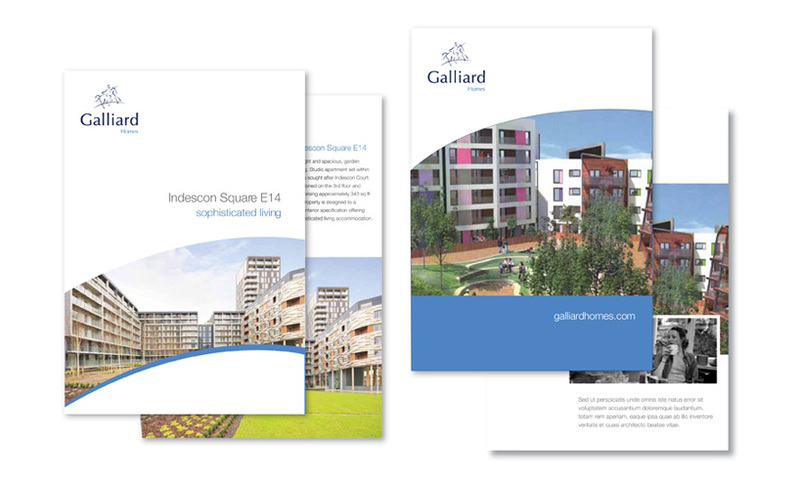 We set up a series of internal sessions with main directors and key staff at the company to better understand the business and help define the brand, business and its target market. 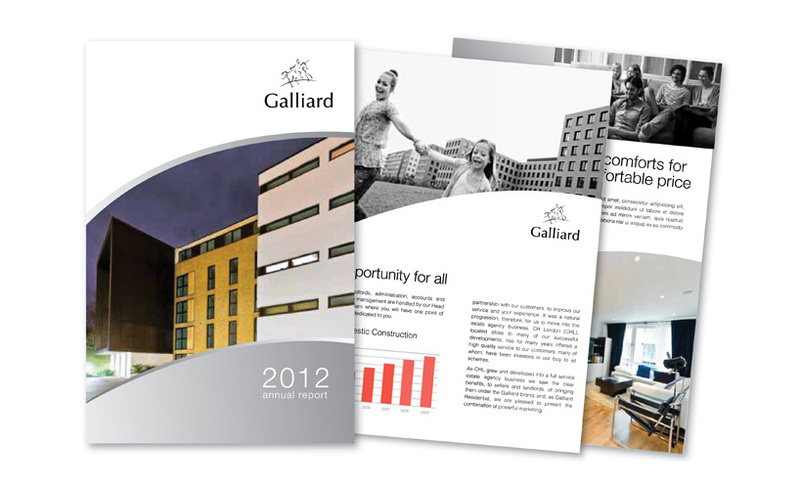 We then got to work in the studio. 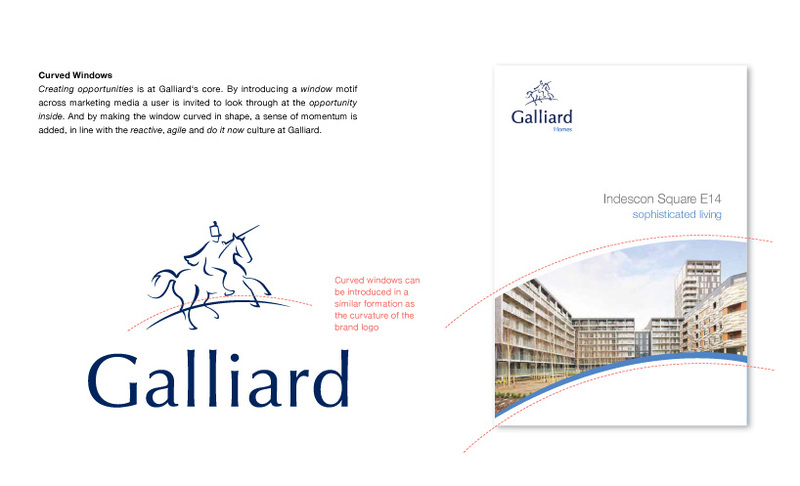 By re-designing the company logo (giving it a more consistent and modern feel - in line with the company's communication needs 'today'), defining fonts, colour palettes, imagery and demonstrating how all of these defining features, might be applied to both on and offline media... a modern, authentic and comprehensive Galliard brand guide was created.